Leatherbound Book Works stocks quality, vegetable-tanned goatskins that are both durable and beautifully grained. 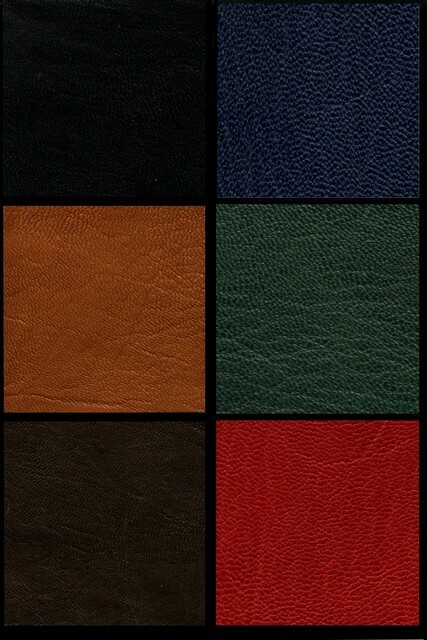 We currently stock Black, British Tan, Brown, Navy, Bottle Green, and Red. Calf and other colors available on request. Please note that these colors are approximate. Hand-tanned leather will naturally vary from batch to batch. Colors also vary from one computer screen to the next. To start your order, contact us here.